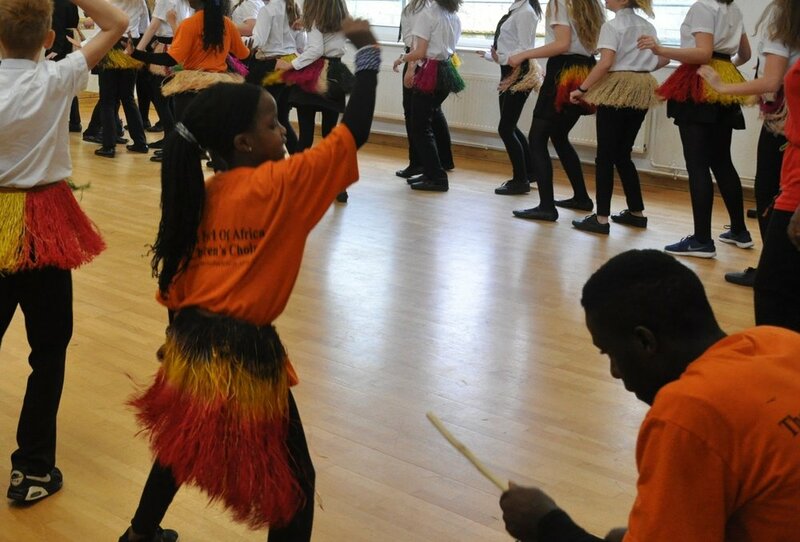 Pearl of Africa Children’s Choir raised more than £1,000 for charity while performing at Pool Academy. Members of the choir visited the school recently to hold dancing, singing, drumming and art workshops during the day before putting on a public performance in the evening. The touring group, which included singers aged seven years old and up, showcased a mixture of traditional African singing and dancing from 6.30pm. Their colourful costumes and upbeat tunes both entertained and helped to raise £1.098.20 much-needed cash for charity. Lorna Gribble, from Pool Academy, said: “It was a truly fabulous day with The Pearl of Africa Choir. “There were four different workshops and an art workshop where people were shown how to make paper beads and turn them into bracelets or necklaces. The workshops were held for visiting local primary schools as well as a select group of Year 7 and Year 8s. Steph York, PA to the Leadership Team at Pool Academy, helped organise the event. She said she was delighted the choir had chosen to come back to visit the school. “The choir were absolutely incredible,” she said. “They had a lot of energy and were very vibrant. “We even had time to take them on a trip to the beach while they were with us. “It was so great to have them back at Pool Academy again this year. Victoria Gribble, from Pool Academy, said: “This was an amazing experience for all students. Not only did they learn a dance but also learnt some history and meanings behind the dances. Pearl of Africa supports the Molly and Paul Foundation which runs six schools in Uganda including a farm school, nine children’s homes and a medical clinic.